Thousands of villagers in remote Kenya are anxiously awaiting text messages, writes Rob Crilly, in the Rift Valley. The Delivery of emergency aid to the hungry people of Kerio Valley in one of Kenya’s more remote regions was signalled not by the rumbling of heavy trucks or the sight of cargo planes in the sky. It came in the form of a beep delivered to dozens of mobile phones, sending hundreds of women who had waited all day into a frenzy of excitement. “I have got it, I have got it!” screamed one woman as she raced around holding her phone aloft. They had not been waiting for food or plastic sheeting or blankets- but a code to be sent to their phones which they can use to collect cash. The technique has been pioneered by the Irish aid agency Concern, which sees it as a faster and more efficient way of getting help to people in need. Note: The last fact sheet was dated April 23, 2008. – According to USAID/OFDA staff, on May 5, the Government of Kenya (GOK) launched an initiative in Rift Valley Province to facilitate the return of internally displaced persons (IDPs) to pre-crisis lands. USAID/OFDA staff report that IDP returns appear to be voluntary and note no evidence of forced returns to date. However, USAID/OFDA staff report concern regarding the sustainability of recent returns in some areas and the lack of GOK coordination with the humanitarian community prior to the implementation of the return operation. – On May 2, the USAID Disaster Assistance Response Team (USAID/DART) transitioned to an early recovery team, following improvements in Kenya’s political environment and stabilized humanitarian conditions in IDP camps and host communities. The demobilization of the USAID/DART reflects the shift from an acute emergency to early recovery in Kenya following post-election violence. – USAID/OFDA will maintain a presence in Kenya to monitor the humanitarian situation; oversee USAID/OFDA-funded relief, early recovery, and disaster risk reduction programs; and facilitate coordination and information sharing regarding response and early recovery efforts. Kenya Red Cross(KRC), Government of Kenya(GoK), Office of the President/Special Programmes, and WFP are coordinating the single-food-pipeline and food assistance activities in Kenya, building on the existing food assistance coordination mechanisms in Kenya. The latest statistics from KRC show 202,470 IDPs in 235 camps. KRC estimates 150,000 IDPs for the next four months; these are IDPs who will not be able to easily go home for different reasons. The general security situation in the past week was calm. The highways were accessible and no post-election related violence was reported. However, tension continues in Trans Nzoia and Mt. Elgon districts following military operations aimed at flushing out Saboat Land Defence Force Militiamen. The Security phase of Nakuru, Naivasha and south Rift Valley has been revised to Phase-I effective 28 March 08. 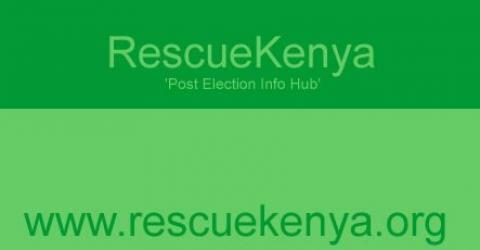 Nyanza, Western, Eldoret and north Rift Valley provinces have been revised to Phase-II. Mt.Elgon remains at Phase-III. All other security phases remain unchanged. The general security situation in the past week was calm. The highways were accessible and no post-election related violence was reported. However, tension continues in Trans Nzoia and Mt. Elgon districts following military operations aimed at flushing out Saboat Land Defence Force Militiamen. Tension also continues in West Pokot district due to the ongoing operation mounted by Police with a mission to check highway banditry and cattle rustling from the district. Eng. Fred Mwango: 2720473, 0734729440.